International trade shapes our everyday lives and the world we live in. Nearly every time we make a purchase we are participating in the global economy. International trade is the system by which countries exchange goods and services. Countries trade with each other to obtain things that are better quality, less expensive or simply different from what is produced at home. To buy foreign goods or services, or to invest in other countries, companies and individuals may need to first buy the currency of the country with which they are doing business. Generally, exporters prefer to be paid in their country’s currency or in U.S. dollars, which are accepted all to the world. The procedures used to exchange currency in international trade are called foreign exchange system, banks plays vital roles in this procedures world widely. The Bangladeshi banks provide foreign exchange services under, Foreign Exchange Act, 1947 is for dealing in foreign exchange business, and Import and Export Control Act, and 1950 is for Documentary Credits. JBL has also become a member of SWIFT (Society For Worldwide Inter Bank Financial Telecommunication) in 2002, which provides a fast, secured & accurate communication network for financial transactions such as letter of credit, fund transfer etc. As an authorized dealer under regulations of BB, JBL provides the followings three type services under their foreign exchange department. Following the liberalization of exchange controls Bangladesh Bank has authorized the banks to maintain different types of foreign currency accounts and convertible Taka accounts. The following are the regulations laid down by Bangladesh in respect of these accounts. Who can open the accounts? C. Foreign missions and their expatriate employees. This is a foreign currency denominated account. Those who domicile in Bangladesh but have to remit money to abroad because of various reasons. This is a foreign currency denominated account. Those who doesn’t domicile in Bangladesh but have to remit money to Bangladesh because of various reasons. For the Officers of Different Embassy they need not to submit all these documents but the Employers certificate is must. A nominee or authorized person will be selected by the account holder for transactions. Under this account the nominee will receive local currency TK against any Foreign Currency. As an authorized dealer the major import items financed by Jamuna Bank Limited, are capital machinery, Hot Roll Steel, electronic equipment, rice, wheat, seeds, polyolefin, cement clinkers, dyes, chemicals, raw cotton, garments accessories, fabrics, cotton etc. To import, a person should be competent to be an ‘importer’. According to Import and Export (Control) Act, 1950, the officer of Chief Controller of Import and Export provides the registration (IRC) to the importer. After obtaining this, the person has to secure a letter of credit authorization (LCA) from Bangladesh Bank. And then a person becomes a qualified importer. He requests or instructs the opening bank to open an L/C. For engaging in international trade, every trader must be first registered with the Chief Controller or Import and Export. By paying specified registration fees and submitting necessary papers to the CCI & E. the trader will get IRC (Import Registration Certificate). After obtaining IRC, the person is eligible to import. Now the importer has to contact with the seller outside the country to obtain the Performa invoice/indent, which describes goods. Indent is got through indenters a local agent of the sellers. After the importer accept the preformed invoice, he makes a purchase contract with the exporter declaring the terms and conditions of the import. Import procedure differs with different means of payment. In most cases import payment is made by the documentary letter of credit (L/C) in our country. Then the importer collects and Letter of Credit Authorization (LCA) from JBL authorized Branches. At first in case of import L/C opening opener must give an oral interview to the responsible officers of JBL. If the officer is satisfied with opener’s motive of import, type of import goods, quality of imported goods and marketability of goods than they will give approval to opener to further steps. II. Required amount of limit. III. Payment terms and conditions. IV. Goods to be imported. VII. Full particulars of bank account maintained with JBL Authorized Branches. I. Tax Identification Number Certificate. III. Membership Certificate of recognized Trade Association as per IPO. IV. Performa Invoice: It states description of the goods including quantity, unit price etc. V. L/C Form: JBL provides a printed form for opening of L/C (JF-fx 13) to the importer. This form is known as Credit Application form. A special adhesive stamp is affixed on the form. While opening, the stamp is cancelled. Usually the importer expresses his desire to open the L/C quoting the amount of margin in percentage. VI. L/C authorization form (LCAF) duly signed by the importer. VII. The insurance cover note: The name of issuing company and the insurance number are to be mentioned on it. VIII. IMP form duly signed by the importer. IX. Forwarding for Pre-Shipment Inspection (PSI): Importer sends forwarding letter to exporter for Pre-Shipment Inspection. But all types of goods do not require PSI. L/C (s) shall be open within 180 days from the date of issuance of LCAF or from the date of registration of LCAF with Bangladesh Bank. Full description of the goods along with quantity and unit price to be incorporated in the L/C and shall take all precautions to quote the correct H.S. Codes of the goods. Prices to be quoted on CER or FOB basis according to the P/Invoice or Indent. No import shall be made on CIF basis without prior approval from the Ministry of Commerce. All L/Cs should provide for payment to be made against full sets of on board (shipped) transport documents drawn and/or endorsed to cover by the credit to a destination in Bangladesh. All L/Cs must specify submission of signed invoices, certificates of origin & pre-shipment Inspection Certificate. L/Cs shall also incorporate any other documents, which are mandatory specified for those commodities in the IPO/Public Notices/Bangladesh Bank Circulars. It is not permissible to open import L/Cs in favor of beneficiaries or to use shipping carriers of the countries from which import into Bangladesh are banned by the competent authority. All L/Cs must specify shipment validity as per terms of the P/Invoice or indent or L/C application. However, shipment validity under any circumstances shall not exceed 9 (nine) months from the date of issuance of LCAF or registration LCAF with Bangladesh Bank excepting capital machinery and spare parts shipments of which shall be made within 17 (seventeen) months. All L/Cs must stipulate an expiry date and a place for presentation of documents for payment/acceptance. In this step the transmission of L/C is done through tested telex or fax to advise the L/C by JBL to the advising bank. The advising bank verifies the authenticity of the L/C. JBL has corresponding relationship or arrangement throughout the world by which the L/C is advised. Actually the advising bank does not take and liability if otherwise not requested. a. The seller being satisfied with the terms and the conditions of the credit makes shipment o the goods as per L/C terms. b. After making the shipment of the goods in favor of the importer the exporter submits the documents to the negotiating bank. c. After receiving all the documents, the negotiating bank then checks the documents against the credit. If the documents are found in order, the bank will pay, accept or negotiate to JBL. d. JBL, Authorized Branches & bank received seal to be affixed on the forwarding schedule. e. JBL, Authorized Branches crossed the bill of exchange & transport documents immediately to protects loss or fraudulent. VIII. Non-negotiable copy of bill of lading. If the documents are found in order or the discrepancies in the document if any, are subsequently accepted by the applicant, the branch will record the particulars of the documents in the PAD Register (JB fx-06). JBL advise Importer about the date of lodgment of documents with full particulars of shipment to retire the documents against payment or to dispose the import documents as per prearrangement, if any. Subsequent reminders (JF fx-06) are also to be issued every week till retirement of the bill. Such bills will be considered and be reported as overdue if the importer fails to retire the documents within 21 days of arrival of the relative import consignments at the port of destination. In the event of non-receipt of import documents relating to goods, which have already reached the port, the customer may ask the bank to provide a Shipping Guarantee/NOC to enable them to clear the goods, form the customers. The Shipping Guarantee may be given on the basis of a written undertaking from the clients by JBL. The S/G should state, inter alias, that he will in due course accept the original documents in spite of discrepancies, if any and bear the exchange loss on account of fluctuation of exchange rates between the dates of guarantee to actual date of lodgment of original documents, when received. JBL, Authorized Branch will recover Taka equivalent of F.C value of N/N copy documents and charges from the customer. JBL, Authorized Branch will ensure return back of the shipping indemnity/guarantee from the shipping company by delivering original shipping documents to the importer after receipt of original documents form the payee bank. JBL, Authorized Branch will mark cancellation on the shipping indemnity/guarantee returned by the shipping company through the importer and file it in the respective L/C file. At the request of the importer, JBL, Authorized branch may endorse Non-negotiable copy documents for custom assessment purpose. The branch will certify the value of F.C on the copy invoice and also certify the copy transport documents under single authorized signature. Endorsement charge is to be realized as per schedule of charges of the bank. The JBL, Authorized Branch may allow amendments to the L/Cs only upon requests of the L/C applicants that do not violate foreign exchange regulations and import control regulations. Necessary charges and/or margin (where L/C value is increased by subsequent amendments) also to be realized/recovered from the customer before amending the L/Cs. An irrevocable L/C cannot be cancelled without the agreement of the beneficiary and the confirming bank, if any. The JBL, Authorized branch at the request of the importer may approach the L/C advising bank for cancellation of the L/C and such cancellation will only be effective upon consent of the beneficiary advised to the branch through the L/C advising bank. However, the JBL, Authorized branch may cancel the L/C without the consent of the beneficiary. Advising bank and confirming bank, if any, if the L/C expires and the JBL, Authorized branch receives no shipping documents within 15 days of expiry of the L/C. The branch should send a message to the concerned bank advising such cancellation and closure of L/C file due to expiry of the same. The JBL then cancels the Reimbursement Authorization, which has been provided to the Reimbursement Bank while opening the L/C. The branch will reverse L/C contra liabilities, refund margin and recover charges from the L/C applicant as per schedule of charges. Original (Non-negotiable) bill of Leading. Clean Report of Findings (CRF). Under this LTR, Loan is allowed by JBL only to first class importers. Here only on the basis of trust without paying JBL anything or a partial amount, the importer takes the documents. Then importer is allowed 60-90 days time to make payment. The imported goods come to the port the party may fall into financial crisis and requests JBL to clear the goods from the port making payment to the exporter. In this case the party later may take the goods partly or fully from JBL by making required payment (if he/she takes the goods time-to-time payment will be adjusted simultaneously). Customers Liability . . . . . . . Dr.
Bankers Liability . . . . . . . . . Cr. When L/C against import is opened then bank as gives guarantee on behalf of customers so customer’s liability is transferred to bankers liability. Party A/C . . . . . . . . . . . . . . Dr. Margin on L/C . . . . . . . . Cr. Commission on L/C . . . . Cr. Vat on L/C . . . . . . . . . . Cr. Swift charges . . . . . . . . Cr. Bank service charges . . . Cr. Stamps . . . . . . . . . . . . Cr. Miscellaneous . . . . . . . . . Cr. When different charges and margin is charged by bank for import L/C then party a/c or current deposit account of L/C opening party is charged against different charges and margin on L/C. Income A/C Interest on PAD A/C…….…….Cr. Income A/c Exchange on Earnings …………Cr. When documents is received than the amount provided to importer is debited under PAD account and head office and other charges as income is credited and at the same time as documents is received so MBL liability against that documentary credit is decreased and importers liability is increased. When payment is made by bank then importer account i.e. party a/c and margin on L/C account is debited PAD account is credited. (c) Signing the Contract: After communicating buyer, exporter has to get contracted (writing or oral) for exporting exportable items from Bangladesh detailing commodity, quantity, price, shipment, insurance and marks, inspection and arbitration etc. (d) Receiving Letter of Credit: After getting contract for sale, exporter should ask the buyer for Letter of Credit (L/C) clearly stating terms and conditions of export and payment. The L/C allows sufficient time for shipment and negotiation. After making the deal and on having the L/C opened in his favor, the next step for the exporter is to set about the task of procuring or manufacturing the contracted merchandise. Then the exporter should take the preparation for export arrangement for delivery of goods as per L/C and incomer’s, prepare and submit shipping documents for Payment/ Acceptance/ Negotiation in due time. In this step exporter who confined with JBL will prepare export related documents and submit those documents to JBL, foreign exchange authorized branch for negotiation. According to those documents JBL collects proceeds from the former issuing banks. c) Export cash credit against trust receipt. e) Back to back letter of credit. Here JBL only gets charge documents and lien on exports L/C or contract, bank normally insists on the exporter in furnishing collateral security. The letter of hypothecation creates a charge against merchandise in favor of JBL but neither the ownership nor the possession is passed to it. JBL provides such credit facility to exporter by pledge of exportable goods or raw materials. Here pledged goods are kept in JBL’s control and failure of the exporter to honor his commitment, JBL can sell the pledged merchandise for recovery the advance. In this case, JBL provides credit limit is sanctioned against trust receipt (TR). It’s also unlike JBL’s pledge facility, only difference is that the exportable goods remain in the custody of the exporter. This facility is allowed by JBL only to the first class party and collateral security is generally obtained in this case. Packing Credit is essentially a short-term advance granted by JBL to an exporter for assisting him to buy, process, manufacture, and pack and ships the goods. The highest limit of providing PC to a first class exporter by JBL is 10% of total export value. (1) Letter of Partnership along with Registered Partnership Deed in case of Partnership Accounts. (2) Resolution of the Board of Directors along with Memorandum & Articles of association in case of Accounts of Limited Companies. In case of Corporation, Resolution of the Board Meeting along with Charter is needed. (3) Personal Guarantee of all the Partners in case of Partnership Accounts and all the Directors in case of Limited Companies. When exporter falls short of raw materials in that case, exporter gives lien of export L/C to bank as security and opens an L/C against it for importing raw materials. This L/C is called Back To Back L/C. In back to back L/C, JBL gives facility to open BTB L/C up to highest 80% of lined export L/C. In case the factory premises is a rented one, Letter of Disclaimer duly executed by the owner of the house/premises to be submitted. iv) Usage Period will be up to 180 days. Client gives the payment of the BTB L/C after receiving the payment from the importers. But in some cases, client sells the bills to the JBL. But if there is discrepancy, the JBL sends it for collection. In case of BTB L/C, JBL gives the payment to the beneficiary after receiving the payment from the L/C of the finished product (i.e. exporter). Bank gives the payment from DFCA (Deposit Foreign Currency Account) where Dollar is deposited in national rate. i) Reference number of the beneficiary’s bank and date. iv) Payment order number and date. Most of the client submits the bill of export to bank for collection and payment of the BTB L/C. In that case, JBL purchases the bill and collects the money from the exporter. JBL subtracts the amount of bill for PC and BTB payment and gives the rest amount to the client in cash or by crediting his account or by the pay order. Bill amount both in figure & in Taka. JBL also accept bills for collection of proceeds when they are not drawn under an L/C or when the documents, even though drawn against an L/C contain some discrepancies. JBL generally negotiates bills drawn under L/C, without any discrepancy in the documents, and the exporter gets the money from the bank immediately. However, if the bill is not eligible for negotiation, the exporter may obtain advance from JBL against the security of export bill. In addition to the export bill JBL generally ask for collateral security like a guarantee by a third party and equitable/registered mortgage of property. When customer open export L/C in JBL, Foreign exchange authorized branch then it provides export finance through packing credit (PC), the limit of PC is highest 10% of export L/C value is provided to customers by JBL. Generally export L/C holder have advantage of opening back-to-Back (BTB) L/C under its export L/C, in JBL customers can open BTB L/C upto 80% of their export L/C value. When BTB L/C documents is realized than JBL acknowledged the date and amount of payment for BTB Bills to its export L/C holder. The period of payment of BTB Bills is always kept longer than period of export value realization which helps to reduce risk of JBL. When export proceeds than documents is presented in JBL than foreign documents bills is presented for purchase (FDBP) as 10% is given as PC and 80% is for BTB L/C so the remaining percentage of L/C value is purchased by JBL. When proceeds is realized than 10% is taken for PC and 80% is used for BTB payment and remaining is deposited to foreign currency (FC) Held account. If customers only present foreign documents bills for collection than remaining portion of export value other than PC and BTB payment will be deposited to parties CD account. As packing credit is provided to the customers so JBL will deposit the packing credit amount to the parties’ current account. Customers liability against BTB L/C.…….Dr. Bankers liability against BTB L/C…Cr. When BTB L/C is opened than party’s liability is transferred to JBL so banker’s liability against BTB L/C is credited and different charges is taken from party so amount of different charges is transferred from party account to income account. Banker’s liability against BTB L/C…………Dr. Customers liability against BTB L/C…….Cr. Customers liability against BTB Bills.…….Dr. Bankers liability against BTB Bills…Cr. When documents against BTB L/C are received than bankers liability on BTB L/C is reduced and banker’s liability for BTB Bills is increased and income is also increased for lodgment process. Bankers liability against BTB Bills…..…….Dr. Customers liability against BTB Bills ..Cr. When due date appears bankers liability against BTB Bills is decreased by MBL and customers liability against BTB Bills is increased by passing above vouchers. For payment the amount of foreign currency is at first send to head office lower rate and at time of payment currency is bring at higher rate the amount is distributed in different income account and difference between the higher and lower rate is treated as exchange gain. When foreign bills are purchased by JBL than FDBP loan account is debited against different income account, PC account and as well as CD account. The amount of bills purchased will be remaining portion of the total export L/C value after deducting BTB L/C and PC value. Foreign remittance means remittance of foreign currencies from one place/persons to another place/person. In broad sense, foreign remittance includes all sale and purchase of foreign currencies on account of Import, Export, Travel and other purposes. However, specifically foreign remittance means sale & purchase of foreign currencies for the purposes other than export and import. As such, this chapter will not cover purchase & sale of foreign currencies on account of Import & Export of goods. On March 24, 1994 Bangladesh Taka was declared convertible for Current account International Transaction. As a prelude to this wide-ranging reforms were made in the country’s foreign exchange regime to lay the ground for a market friendly environment to induce investment, growth and productivity. 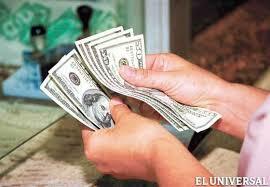 Following liberalization under convertibility, most remittances are now approved by the Authorized Dealers themselves on behalf of the Central Bank. Only a few remittances of special nature require Bangladesh Bank’s prior approval. Overall supervision of Foreign Remit. Dept. Foreign TT payments & Purchase of F. Drafts, preparations of F.B.P. (Foreign Bill Purchased). Issuance of outward TT & FDD. Issuance of proceed responding certificate (PRC). Foreign Collection, Bangladesh Bank Clearing Check Collection, which comes from all branch of JBL. Encashment of T.C. & Cash Dollar and Sterling Pound. Deduction of Tax and VAT. On behalf of Bangladesh Bank. Preparation of related statements including convertible Taka Accounts. Preparation of IBCA & IBDA and Balancing of Collection and other special assignment as desired by Department in charge. Compliance of audit & inspection. Statement of all related works submitted to Bangladesh Bank. All foreign remittance transactions are grouped into two broad categories of remittance i.e. Outward remittance & Inward remittance. As an AD MBL foreign exchange department focuses on these two sources of remittance. The term” Inward Remittance” includes not only purchase of Foreign Currency by TT, MT, Drafts etc. but also purchases of bills, purchases of Traveler’s cheques. The main two sources of inward remittance are proceeds realized from export process and also a strong source Bangladeshi workers remittance from abroad. Description of goods along with unit, quantity and H.S. code. Imp from will be duly signed and sealed by importer and authorized officer of JBL. Duplicate, Triplicate copy of IMP Form are send to Head office of JBL by JBL, foreign exchange authorized branch where as head office send Duplicate copy to BB and Triplicate copy is kept in head office and Quadruplicate copy is kept in regarding import L/C file by JBL, foreign exchange authorized branch. Along with IMP Form Proforma invoice, commercial invoice and LACF is attached. Code of month of reporting, country receiving payment, purpose of payment, category, currency, amount. Person remitting the currency and authorized officer of JBL, foreign exchange authorized branch, duly signs T.M Form. Two forms as prescribed by Bangladesh Bank are used for purchase of Foreign Currencies such as. EXP number Duplicate, Triplicate, and Quadruplicate with JBL, foreign exchange authorized branch code, serial number and year code. L/C number, date of L/C opening, L/C value. Amount proceeds realized method of currency such as Taka or foreign currency and date of realization. Among two copies one copy is send to BB along with JBL head office and another copy is kept in relative documentary credit file as office copy by JBL, foreign exchange authorized branch. Inward remittances equivalent to US $2000/- and above are done by Form” C”. However, declaration in Form C is not required in case of remittances by Bangladesh Nationals working abroad. Utmost care should be taken while purchasing Currency Notes, Travelers cheque, Demand Draft & similar Instrument for protecting the bank from probable loss as well as safety of the Bank officials concerned. JBL, foreign exchange authorized branch provides information about person who remits currency and relationship with the person to whom currency is remitted and reason for remitting currency to BB. U.S Dollar- the documentary credit opened on US Dollar is reported to BB under this category. ACU Dollar- the export import related to India, Iran, Nepal, Pakistan, Sri Lanka, Bhutan and Myanmar will be reported to BB at ACU Dollar. EURO- the documentary credit opened with EURO exchange based countries are reported under this category. EPZ- the documentary credit opened related to EPZ industries are reported to BB under this category. Exchange rate is the rate at which one currency is converted to another currency. In case foreign exchange the rates, which are used to convert in local or any other currencies, incase of foreign dealings. Bangladeshi banks use an exchange rate that is convertible to different currencies into BDT. Exchange rate is determined by Bangladeshi banks from interbank offer rate (IOR). Bangladesh bank provides interbank offer rate and the JBL purchase currency at spot rate where as spot rate is addition of different primary chargers such cost of transfer, cost of freight etc along with interbank offer rate. In case of selling of currency or payment of import JBL, foreign exchange authorized branch adds different charges as documents and telex charges to customers so BDT increases and incase of buying or receiving export value charges as documents and telex charges are deducted from customers so BDT decreases in case of selling. In case of selling charges are added and incase of buying charges are deducted from spot rate because JBL is most responsible to carry out documents charges and telex charges for others or customers. In case of payment of import or selling currency JBL, foreign exchange authorized branch buys currency from Head Office at 0.10 paisa lower than selling price. In case of payment received of export or buying currency JBL, foreign exchange authorized branch sells currency to Head Office at 0.20 paisa higher than buying price. Foreign exchange rate fluctuations affect banks both directly and indirectly. The direct effect comes from banks’ holdings of assets (or liabilities) with net payment streams denominated in a foreign currency. Foreign exchange rate fluctuations alter the domestic currency values of such assets. This explicit source of foreign exchange risk is the easiest to identify, and it is the most easily hedged. Foreign exchange risk is treated by JBL as market risk because market risk is the potential for loss from changes in interest rates, foreign exchange rates and equity and commodity prices. So transactions related to foreign exchange positioning will bring market risk to JBL. The vulnerability of the JBL’s as a whole to foreign exchange fluctuations depends on more than just its holdings of foreign exchange. Foreign exchange risk is defined as the possibility of losses due to change in exchange rates according to market forces. The foreign exchange risk of JBL is minimum as all the transactions are carried out on behalf of the customers against underlying foreign exchange transactions. Treasury Division of JBL independently conducts the transactions and the JBL head office of Treasury is responsible for verification of the deals and passing of their entries in the books of accounts. All foreign exchange transactions are revalued at (Market-to-Market) rate as determined by Bangladesh bank at the month-end. All Nostro accounts are reconciled on monthly basis and the management for their settlement reviews outstanding entries beyond 30 days. Income on commission of L/C. Foreign Exchange department is doing well, rendering all the services related to international trade and remittance. It also involves handling of import business through opening letter of credit and handling of export business. ü Low infection in loan exposure. ü Excessive dependency on term deposits. ü High cost of fund. ü Islamic Branch funds are not ring fenced. ü Regulatory environment favoring private sector Development. ü Small and medium enterprises. ü Increased competition in the market for quality assets. ü Supply gap of foreign currency. ü Over all liquidity crises in money market. During internship period in Jamuna Bank Limited Gazipur Chowrasta Branch tile following problems are observed. Human resource of any organization is considered as a valuable asset. But human resources, in the branch, are not equipped with adequate banking knowledge. Majority of the human resources have lack of basic knowledge regarding money, banking finance and accounting. Without proper knowledge in these subjects, efficiency cannot be optimized. Bank can arrange training program on these subjects. There is shortage of computer in general banking section. Sometimes the shortage of computer makes some unfortunate event on that section. Lack of internet connection. Our branch office use GP internet service that is not enough for Banks daily activities. Flora On-line banking software is used by JBL and this is quite difficult to use for the employee as the employees are not well trained. This bank does not have any plan to enter into the Credit Card Market. It is well versed that tomorrow’s payment will be consisted of only plastic money (Credit Card). A large part of business transaction will be done by credit card III near future. In western world, more than 50% of transactions are in credit card this bank does not prepare from now on, it cannot compete in the future market. So, the branch should give special attention to the introduction of Credit Card. Since a number of new banks are coming to existence with their extended customer service pattern in a completely competitive manner. Customer-services must be made dynamic and prompt. High administrative control should be exercised in JBL Gazipur Chowrasta branch and proper delegation of authority should be established so every officers of every department should be confined with their own responsibility and duty, which will bring fluency in operation. As authorized dealers JBL branch must follow of rules regulation regarding to foreign exchange and currency transactions in all aspects. It should time to time provide all necessary information to officers of foreign exchange department for adequate knowledge about applying rules and regulations in every related transaction. The process opening documentary credit and steps followed by JBL to settlement of documentary credit should be liberalized as much as possible. If process is liberalized according to regulations it will be attract customers. The procedures followed by JBL for open documentary credit upto settlement is lengthy and some cases are not as per committed. So the whole procedures should be integrated to provide more efficiency hat will increases satisfaction of the customers. The recording procedures and documents keeping process of in this department must be improved through sequential effort system and for all type recoding of this department should be computerized to get this improvement. Foreign exchange department of JBL branch should provide adequate computerized network facilities that will ultimately provide supports to all officers of this department and as well as improve quality of customer service by increasing swiftness of activity. JBL should provide different facilities and incentives to customers who are related with foreign exchange transactions and also increase quality of services that will attract the customers and that’s will increase foreign exchange transactions of JBL. As foreign exchange transactions are guided by strict rules and regulations so all officers under this department must be properly trained and give adequate knowledge so that they apply relative regulations in practical operations. Enough motivation and incentives should be provided to all officers of JBL, so a positive attitude about work is buildup that will increase the quality of service provided by them. The number of human resources in foreign exchange department is really insufficient to give services to huge volume foreign exchange transactions. So, number of employee should be increased in this department. JBL have kept huge number of files regarding to export and import. As the huge volume of files is kept so its not all time possible for officers to keep proper format of those files so all officers of this department should try to reduce these irregularities. Customer of this department should be offered occasional gifts and discounts, attractive incentives that can make service more attractive and keep consumer delight. As above those all incentives that are necessary to improve the quality of service of the foreign exchange department of JBL must be taken. JBL as service providing organization provides services through all its departments so quality of services must be increased to attract and extend customers. JBL should improve its technological support and communication network system by using different advance technological support system that are used in different competitive banks in Bangladesh. It should also establish high quality integrated computerized networking system for foreign exchange department as well as for all departments of JBL. Bank is the most common type financial intermediary in todays globalizes world. Banks play important constructive role in the economy. Banking sector of Bangladesh quite positively contributing to its economy. In today’s globalizes world it’s impossible to stay without transacting among two countries i.e. foreign trade and banks are the only safe way transacting international transactions. The different nationalized and privatized banks are providing services among them foreign exchange services are important for globalized transactions. As a commercial bank of Bangladesh Jamuna Bank Limited is providing different services along with foreign exchange services. JBL is trying to establish is a stable position in competitive market and providing positive contribution to economy through different services as well as foreign exchange services. JBL foreign exchange department facilities not only induce export-import and private transactions but also help to encourage economic development of Bangladesh. The new mode of planned advance facilities that will be enforced in future by Jamuna Bank Limited for improving service quality. So I hope as Jamuna Bank Limited has great chance of being one of the leading banks of Bangladesh by enforcing its available opportunities and will highly contribute to the economic development of Bangladesh in future. Ashraf Ali. Syed, 1986, Foreign Exchange & International Finance, Page: 35-42,78-84,129-143,152-160. Varshney R.L, 1992, International Financial Management, Page: 264-297, 330-336. Nurul Islam, 1976, Foreign Trade and Economic Controls in Development, Page: 65-79. Rodriguer R.M. and Carter, 1981, International Financial Management, Page: 23-36, 91-102. Kate L. Turabian, 1972, A Manual for Writers of Term Papers, Theses and Dissertations, page: 1-15, 125-143. Kavaljit Singh, 2002, Global Foreign Exchange Trading: Status and Issues, Asia Pacific Research Network Journals, Vol-6, No-4. Ian H. Giddy and Gunter Dufey, The Management of Foreign Exchange Risk, Resources in Finance, New York University and University of Michigan. Harun-Ar-Rashid Khan, M. Farid Ahmed, Ehsan Latif, 1993, Foreign Banks in Bangladesh: Performance& Limitations, Dhaka University Journal Of Business Studies, Vol- 14, No-1, Page: 185-198. Bangladesh Bank, 1996, Guidelines for Foreign Exchange Transactions, Vol-1, Page: 4-29. Jamuna Bank Limited, 2009, Annual Report.